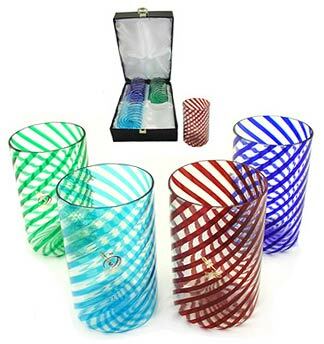 This set of four blown Murano glasses has been one of our most popular gift items since their introduction. Each glass is handmade in one of the oldest family-owned furnaces in Murano. The vibrant colors and exquisite workanship are apparent the moment you pick up one of these glasses. 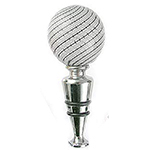 The size is approximately 4 inches tall and about 2 and 1/2 inches diameter. Each set includes the four colors shown and is shipped in a lined gift box(also shown).